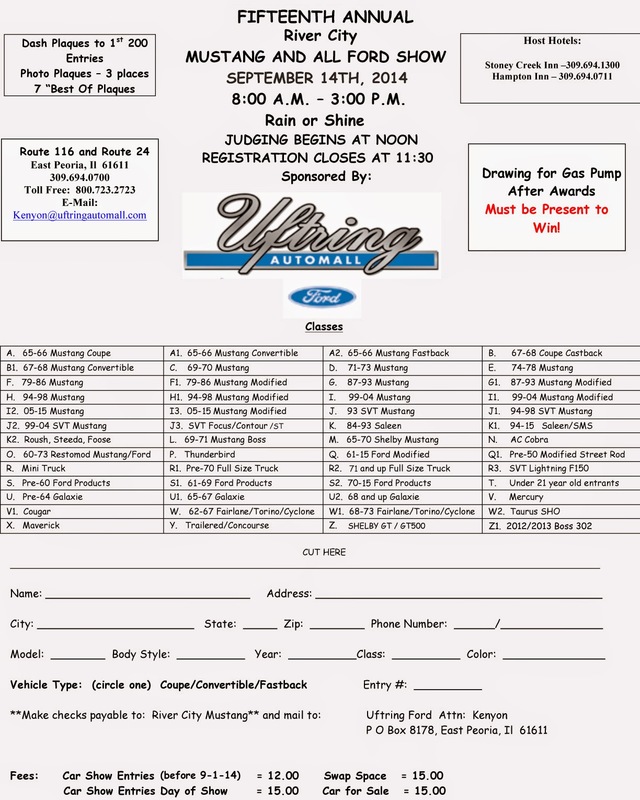 The Uftring Automall (Uftring Ford) is proud to host the 15th Annual River City Mustang and All Ford Show, Sunday September 14th from 8am to 3pm at the Uftring Automall. Rain or Shine, bring your classic Mustang or Ford and display to hundreds of automotive enthusiasts from Central Illinois. Cars are judged in a variety of classes, and dash plaques are awarded to the 1st 200 entries. Photo plaques and Best Of plaques are also awarded. Every year, the River City Mustang and All Ford show gets bigger and better and this year will be no exception. To enter, call Kenyon at (309) 694-0700.